Innovative and beautiful. Qubies are the simple way to freeze & store just about anything. 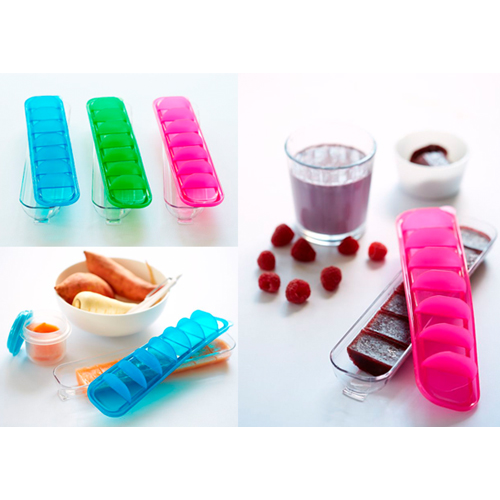 Use Qubies for a range of uses from baby (including breast milk & purees) to everyday uses such as freezing juices, stocks, sauces, pestos etc. 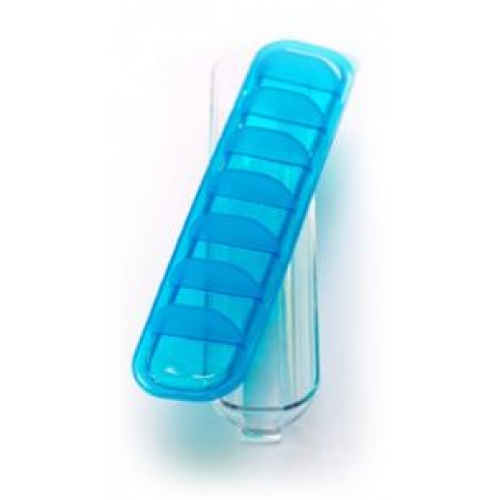 Designed with functionality in mind, Qubies ensures your 30ml cubes are released easily first time, every time. Simply pour food into the base. No more spooning into little compartments! Pop on the amazing non stick silicone lid and voila, eight x 30ml cubes. Qubies base is made from Triton and is super tough. You can drop it, microwave it or even pop it into the dishwasher. 1. Pour food into base of Qubies to the MAX FILL LINE. 2. Seal with lid and freeze. Once frozen, remove Qubies from freezer. 3. Using both hands, give the container a twist to release cubes. 4. Peel lid from the container to reveal your cubes.